Nellie Frances Myers, daughter of William O. Myers and Sarah Jane Thomas, was born Sept. 20, 1869 near Mount Pleasant, Henry Co., Iowa and died Mar. 24, 1952 in Bedford, Taylor Co., Iowa. She married Lawrence Emory Beard Nov. 15, 1887 at Bedford, Taylor Co., Iowa. 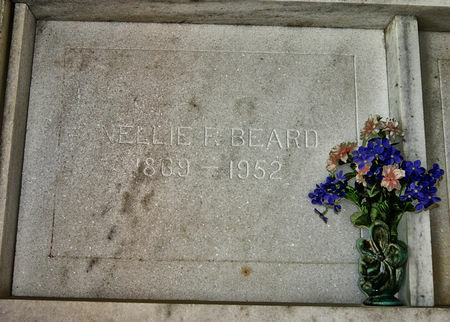 Searching for NELLIE FRANCES MYERS BEARD in Taylor County Iowa?